Today we're trying out a new leaf piece! 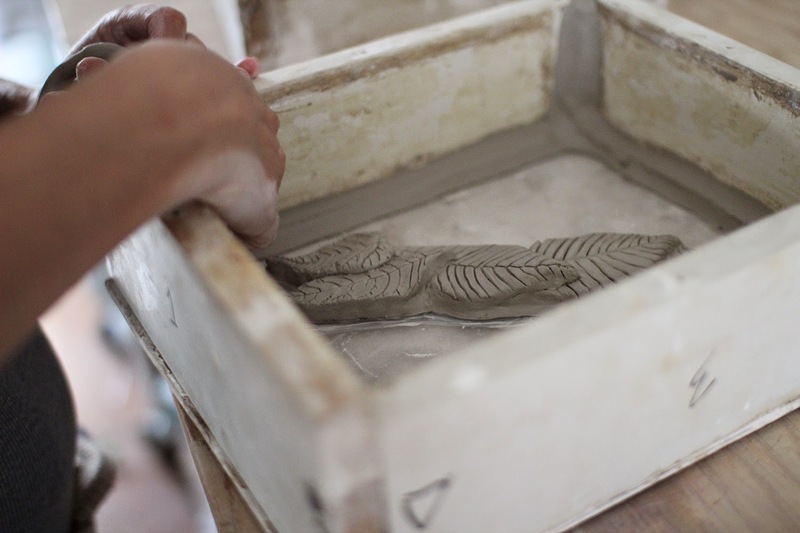 There are a few things we must check on before we put a new piece into production. For example, how the piece sits in a mold. 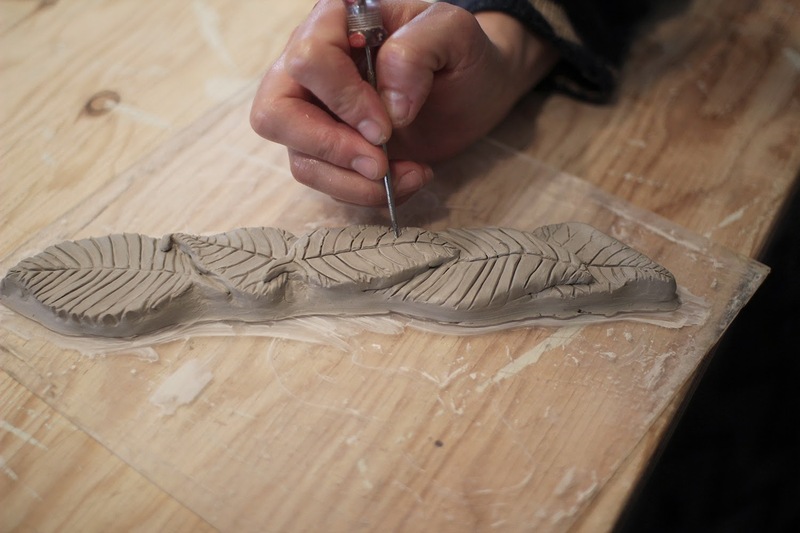 We begin by sculpting and carving the original piece. 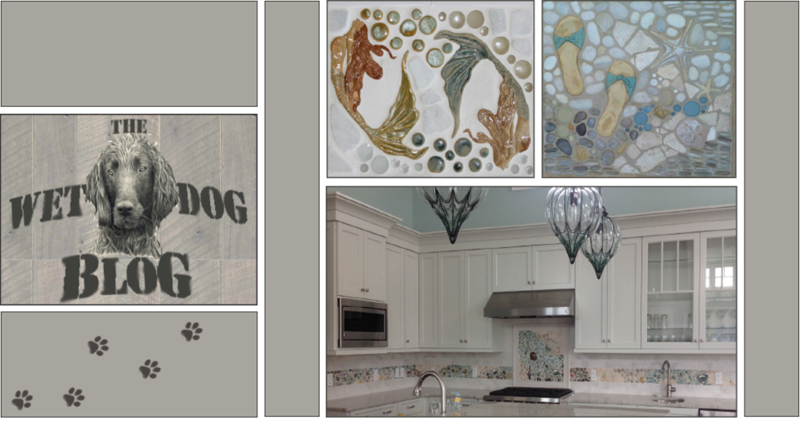 Our artist cleans out the fine lines so that the plaster fills in every detail. Next we prep the piece into its' frame and make sure the positioning is correct. 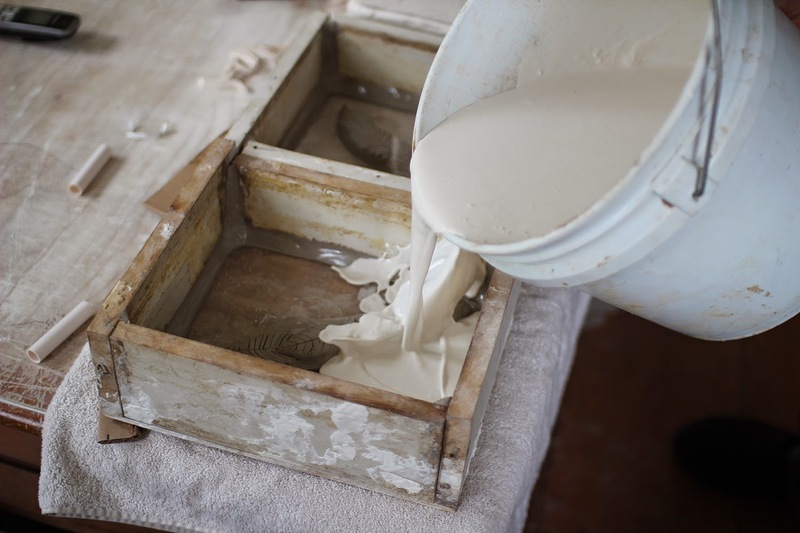 We lightly paint the surfaces with a release agent so that once the mold has hardened the frame will let go easily. Here you can see we've got two different leaf pieces we're going to be testing today! These frames are ready for plaster. 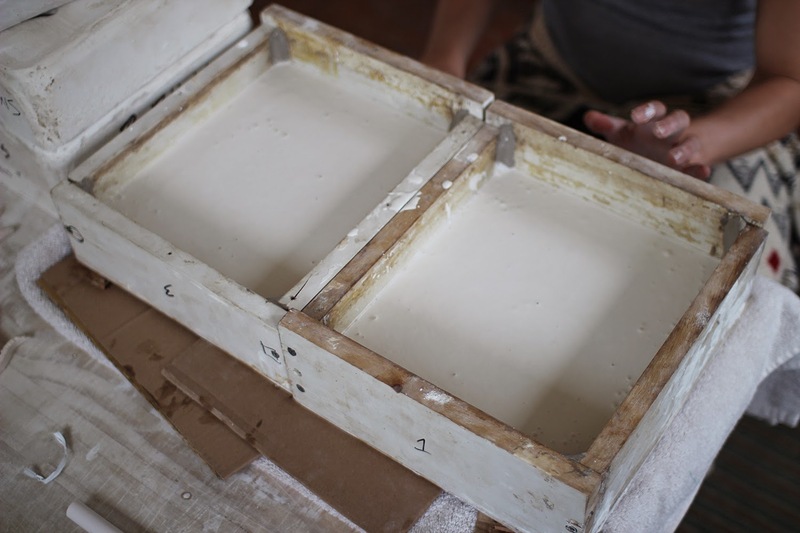 Once mixed, we carefully poor the plaster into the molds, making sure it covers evenly. All done! Now we wait. 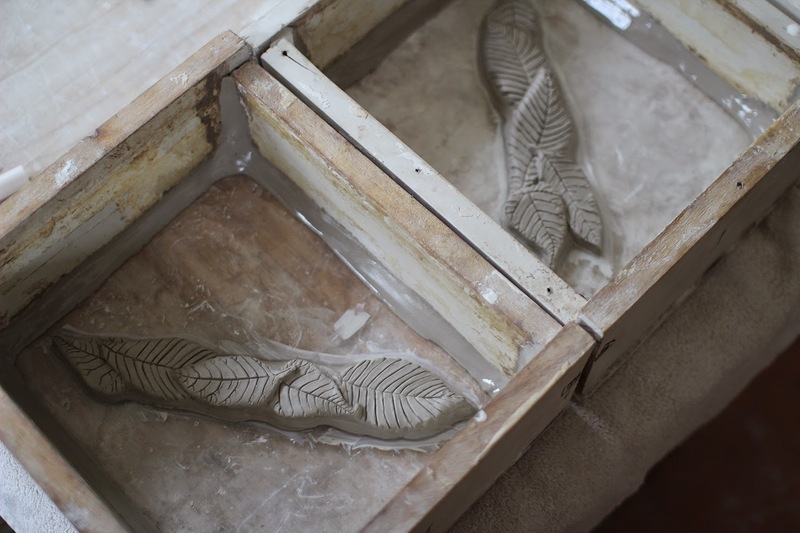 Once these dry and become solid we will be able to knock out our original leaf pieces and test the mold! Come back to see the final product!